The Universities and College Union (UCU), the largest trade union in the UK for staff employed by higher education institutions, has today launched its ballot for members to vote on whether they will take to the picket lines later in the academic year. The ballot, which will close in mid-October, marks one year on from when the vote on changes to staffs’ pensions provided a mandate for the largest-scale higher education industrial action in recent memory. In Cambridge more than 1,000 staff participated in the recent strike action. The current ballot centres around four key issues in the higher education sector: low pay, excessive workloads, the gender pay gap, and employment casualisation – the practice of placing academic staff on zero hours, or short, fixed-term contracts. 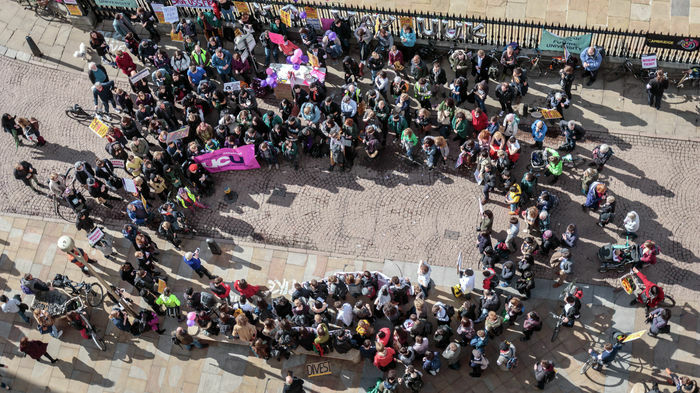 Earlier this year, 65% of voting UCU members indicated that they would be willing to strike over these issues, which were brought to the fore during the recent pensions strikes, as staff protested what they viewed as an increasingly marketised higher education system. Explained: Why did university staff strike over pensions? 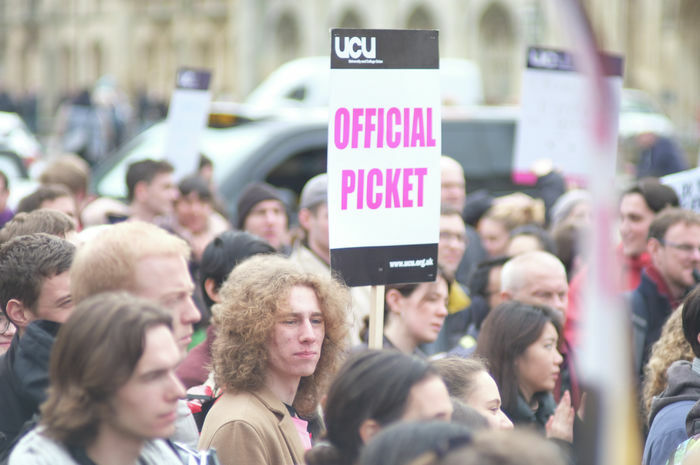 University and Colleges Union (UCU), the trade union for academics and university staff organised industrial action at 65 institutions nationwide in February and March, in protest against pension proposals put forward by Universities UK (UUK), an advocacy body for university employers. Last November, UUK proposed that pension funds for incomes under £55,000 be moved from a defined benefit structure to a defined contribution structure, a move intended to mitigate an estimated deficit of £6.1bn in the Universities Superannuation Scheme (USS). The value of defined contribution schemes depends on returns from underlying investments in the stock market, as opposed to defined benefit schemes, which offer a guaranteed income upon retirement. UCU has cited analysis which estimates that staff may be up to £200,000 worse off upon retirement under entirely defined contribution schemes. During strike action in late February, national bodies reached a provisional agreement which ensured defined benefit pension schemes for incomes below £42,000, while increasing employer and employee contributions by 1.3% and 0.7%, respectively. The agreement was resoundingly rejected by UCU members, however, and action short of a strike continued until late March, at which point UCU and UUK jointly agreed to the creation of a Joint Expert Panel to assess pensions changes. UCU members have voted to end the strike action, but the exact terms of future pensions scheme proposals remain unknown. The ballot opening today will provide a more binding result: if a majority of UCU members vote in favour of strike action, the trade union will likely call for it. Possible dates and duration of any industrial action have yet to be announced, though it may affect up to 147 institutions across the UK. The vote also cites the sector’s gender pay gap – in Cambridge, the average gender pay gap was calculated at nearly 20% earlier this year, as opposed to the average gap of 12% across the sector. Cambridge sees further pay disparities across its schools – as well as excessive workload and employment casualisation as points of concern. A Cambridge UCU 2016 survey found that Cambridge staff work “an average 52.8 hours a week”, while many have additional collegiate responsibilities. The strikes in Lent Term – which staff had said posed a difficult dilemma between disadvantaging students’ education and protesting to protect their future pension values – resulted in several concessions by the advocating organisation for employers, including the creation of a Joint Expert Panel to reevaluate the valuation of the pension scheme for university staff on which the changes were based. The strikes saw substantial support from student activists, culminating in a five-day occupation of Old Schools, the University’s central administrative building. Cambridge Defend Education (CDE) urged UCU members earlier this week to vote in favour of strike action, saying: “we are prepared to support staff in their campaign against precarity and inequality in the higher education sector”. As the ballot opens, several NUS representatives – including former CUSU Women’s Officers Lola Olufemi and Amelia Horgan – have put their names to a motion submitted to the National Union of Students’ National Executive Council, calling on the NEC to resolve to support academic staff in their “pay struggles across the education sector”, and to produce “information and training on how to support the strikes should they go ahead”.